Hotel: Best Western Embajadores in the Miraflores district of Lima. (Notes: - Related to your flight to Peru, we have a special travel agent we are working with in Atlanta who may be able to find a good price for your international flight. We recommend that if you have decided to join us, to please contact us directly so our travel agent can assist you with your flight. Last time most of the members of our group in America met us for a direct flight to Lima from Atlanta so we can all arrive together. However if you decide to find a different route to Lima, we will have a person from Kontiki Tours meet you at the Lima airport right after you come out of the arrival gate. Last time it seemed all the flights arrived late from 10 PM to midnight so everyone arrived within an hour of each other. IN Lima - Welcome to the mystical land of Peru - have a good nights rest. In the morning, we will all meet together for breakfast to have a short meeting and for everyone to introduce themselves. The key to the power of this group is that we will become a special spiritual family as we travel together and have our powerful awe inspiring inner experiences in Peru. There is a morning city tour with a bilingual tour guide. Lima City was established in 1535 by Francisco Pizarro. Lima became the headquarters for the Spanish during their invasion of South America. During this tour we will visit both the Colonial and Modern District of Lima City that will include amazing mansions, various type of houses and many churches. When we visit the Plaza Mayor (the main square of Lima) we will pass by the Government Palace and visit the main Cathedral that is within this area wherethe remains of Francisco Pizarro's are buried. Then we will move on to the San Francisco church Monastery which was built in 1620 that has the Catacombs where many people living early in Lima were buried, which we will also visit. Additionally we will see an ancient ruin within Lima known as Huaca Hullamarca (archeologists believe this city was built approximate in the 9th century) which is considered a Pre-Inka ceremonial center who's shape appears as a truncated pyramid (due to ceremonial items found in the ruins and female mummies who may have been priestesses). Our visit also includes a tour to San Isidro, El Olivar park and Miraflores, which are moderns cities surrounded by parks, coffee shops, and restaurants. We then go for a nice lunch on the Ocean and then head back to our Hotel where your late Afternoon is free. 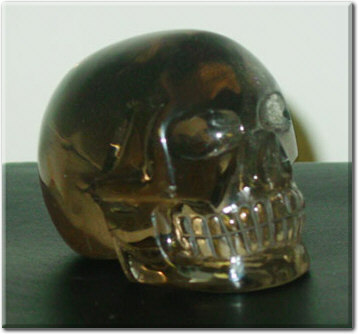 If there is time in the evening, Joshua and Katrina will offer a few private sessions with their crystal skulls. IN Lima. We wake up early to take a transport to the Lima airport to fly to Cusco (a little over an hour flight) this day and will leave somewhere between 8:00 - 9:30 AM. 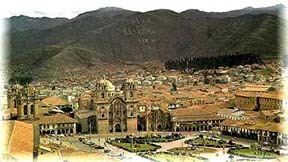 Cusco is the archaeological capital of the Americas, located at 3,300 meters (10,380 feet) above sea level. The Quechua name of the city (Quechua is one of the ancient languages of Peru) is Q 'OSQO which means the "navel of the world". 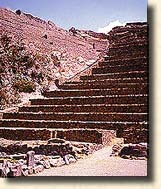 Once revered as the city of the Father Sun City (called "Inti") by the Incas. 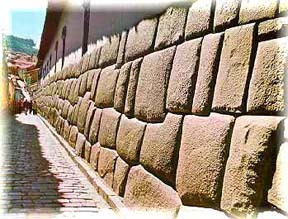 It is stated by the local people that the old city of Cusco has the shape of a Cosmic Puma with the head of the Puma lying within the sacred temple of Sacsayhuaman which we will visit in the afternoon on this day. 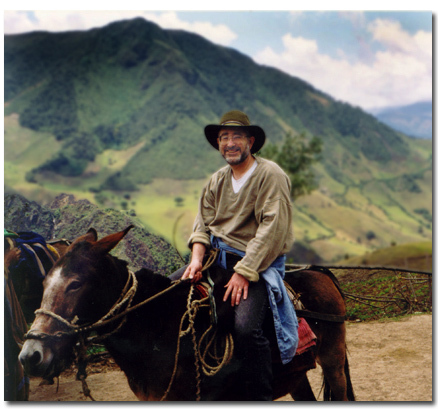 Right after our arrival in Cusco, a representative of Kontiki Tours will meet us and we will find our guide Jorge Luis Delgado at our hotel. It is mandatory to rest to avoid altitude sickness so when we arrive at the hotel we will be served some cocoa leaf tea which will help you adapt to the elevation. 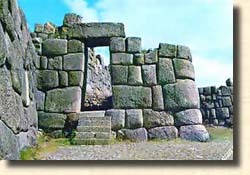 After a light lunch we will go to see the amazing megalithic architecture of the Sacsayhuaman fortress, built by ancient astronomers of a vanished civilization. In Sacsayhuaman we will perform a special meditation (led by Joshua & Katrina) working with the crystal skulls for which each member of our group as everyone will have at least one skull they can be holding. 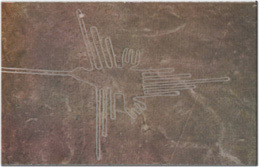 Also, Jorge Luis, will share with us, special information about the Inca's secret underground system that runs across the continent and its connection with ancient civilizations. 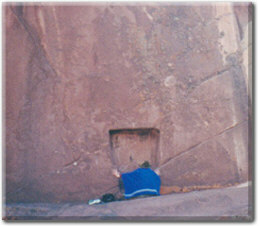 We will continue our tour to the Q'enko ceremonial center and Tambomachay where is a small but sacred water fountain. 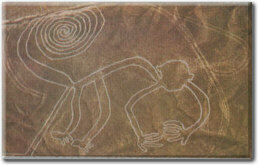 Our final stop will be at Amaru Machay, "the place of the serpents". An ancient cavern used by the Inca elite for sacred ceremonies, where Jorge Luis will perform a cleansing ritual for all of us. Late afternoon back to Hotel called the Taypikala Hotel Cusco which is a beautiful and comfortable hotel owned by Kontiki Tours. Once again in the evening, Joshua and Katrina will offer a few crystal skull sessions here or you have the night to rest. IN Cusco. 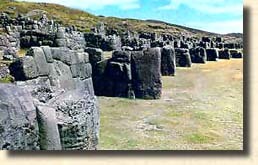 We will go first to a site known as Quilla Rumiyoc which is a Moon Temple linked to Venus, near Cusco, where we will do a morning ceremony with Jorge Luis. 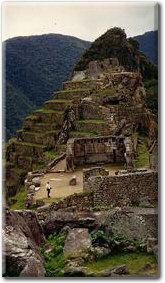 After we finish, we will travel to the Sacred Inca Valley, one of the richest and fertile grounds in the whole world. On route to the sacred site we will visit with an old stone skull (yellow in color) that the owner of the store who has it, said is linked to the ancient Chavin Culture which lived in Peru some time before the Inca. 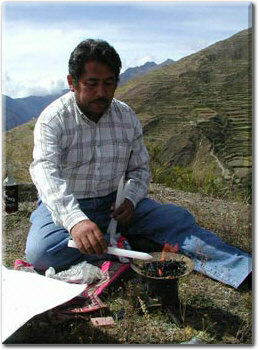 Lunch will be held at a country restaurant located in the Sacred Valley . In the afternoon will continue our journey on to the Ollantaytambo fortress located in the heart of the Inca's sacred valley. 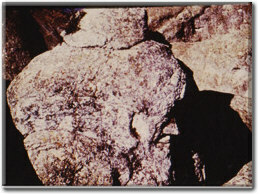 This is a ruin where unknown tools were used to construct the stone structures which have never been uncovered by archaeologists. 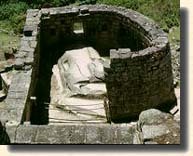 At the top of this ruin is the Lemuria Temple of Love, a very powerful temple consisting of 6 large stone pillars. Here we will do a powerful meditation with the crystal skulls. 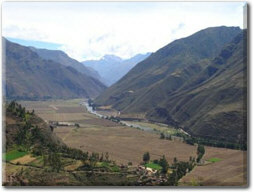 Our accommodations in the evening is at a comfortable hotel in the Sacred Valley near the site of Ollantaytambo. 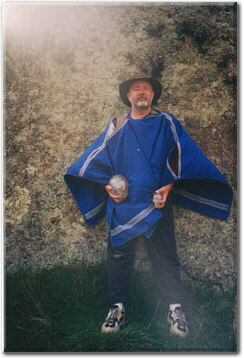 In the evening, Jorge Luis will speak to our group about his contact with UFOs and the Andes Shamans. An early departure from Ollantaytambo to Machu Picchu by train. We arrive in the town of Aguas Calientes (means Hot water as there are some hot spring water here) which lies directly below Machu Picchu. We will check in at our hotel first and then have a nice lunch. Following this, we will take a bus ride up the mountain for our first visit to Machu Picchu also known as the "Lost Citadel of the Incas". This ancient city is considered to have the best Inca architecture based on its incredible location, scenery, beauty and the proportions of its buildings. Truly considered to be an Inca masterpiece for the world (Joshua's note: that is if the Incas originally created this city as there are some advanced stone structures and volcanic stones here that had to be brought from hundreds and hundreds of miles away). 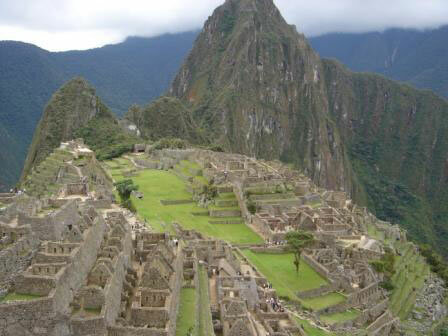 In anycase, this will be the first of 3 days you will have a chance to see Machu Picchu. We will explore one part of the city - near the entrance this day and then continue on the following day. In the afternoon we will had back to our hotel in Aguas Calientes. Today we have the opportunity to spend all day in Machu Picchu to further explore this sacred citadel. This could be your last time unless you decide on our next day to return for a few hours in the morning or early afternoon for a more private visit without a group. Now within Machu Picchu any type of ceremony is forbidden so we have to work a bit quietly with our skulls. 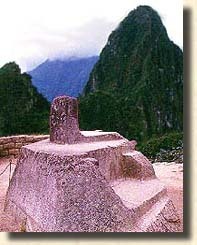 Some of the special places we will see in Machu Picchu include the Temple of the Sun, Temple of the three Windows, the Pyramid structure holding the sacred stone of Intihuanta (pictured to your left above the photo of Joshua), the Temple of the Condor and much more. We will also have an initiation ceremony with Jorge Luis in the city of Aquas Calients and with time permitting, Joshua & Katrina will continue to offer the private sessions with the crystal skulls. IN Aguas Calientes. This day is a leisure day, but you do have an Option to return to Machu Picchu for a final exploration or to say farewell in the late morning for a few hours. Or you can rest or just walk around Aguas Calientes and visit the local Andean market. In Mid- afternoon, we will take our train ride back to Cusco (with some special onboard entertainment). 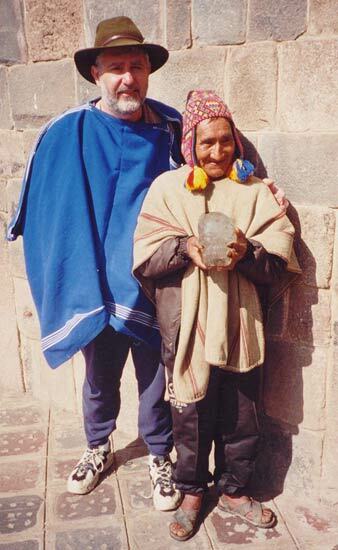 In the evening in Cusco, Joshua & Katrina will continue to offer more private crystal skull sessions to those who so desire and have not received one yet. IN Cusco . For our last full day in Cusco we will begin after breakfast with a morning city tour that includes a quick stop at the center of downtown Cusco including viewing the famous twelve angle stone located near this area. The most impressive part of the city tour is our visit to Qoricancha (the Inca gold center), located inside Santo Domingo's Church. 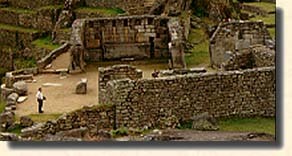 Qoricancha was the most important ceremonial temple of the royality of the Inca. 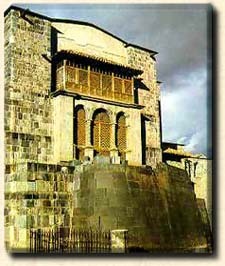 This ancient Inca palace is where one can find the best Inca masonry and colonial architecture, art and religious icons which all are in one place. These interior temples were dedicated to the deities of the Inka Empire. 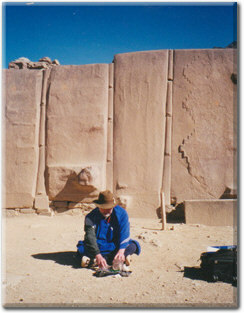 We will have a special session in the temple at the window where the Inca Golden (Sun) Disc was once held. Seeing is believing!. We have a free Afternoon for leisure and shopping. In the evening we have a nice dinner to experience the life of Cusco for one last time and Joshua and Katrina will offer a few more Crystal Skull private sessions for those who are interested. We will leave from Cusco by bus early in the morning to head out to LAKE TITICACA. Lake Titicaca is considered the highest navigable lake in the world at a height of almost 12,500 feet (3,807 meets) with about 40 islands within the lake. On route we will visit Raqchi (Wiracocha's Temple) which is another ruin filled with magnificent stone structures and is considered a temple of knowledge of the Aymaras & Quechuas (two of the local traditional people). Afterwards, we will have a nice lunch and then continue on to Lake Titicaca, which is about a 7 hour bus ride in total. We will be taken directly to our hotel in Lake Titicaca which resides right on the Lake, south of the main city known as Puno. Joshua, Katrina and Jorge Luis will offer a short meeting for the passengers to discuss the importance of Lake Titicaca and what to expect during your visit. Jorge Luis will give us a short talk about Ancient civilizations and the UFO connection linked to Titicaca Lake. Crystal Skull sessions will be available in the evening by Joshua & Katrina. at our hotel called Taypikala Hotel in Chucuito, Puno. Titicaca is the highest navigational lake in the world. It is also known as a "Pakarina" a sacred place where the first Inca, "Manco Capac" and his wife "Mama Ocllo" appeared and were sent by their Father, the Sun to find a place and create the rainbow empire. In the morning we will transported to the boat port at the waters of Lake Titicaca and take a speed boat to Uros Island, an incredible artificial island made of Totora reeds. The Uros people still use the same techniques and lifestyle inherited from their ancestors hundreds of years ago. Our next stop is the exotic and serene Amantani Island to locate the sealed entrance to the underground tunnels. We will have a meditation to experience the energy of the area and after our host serve us a delicious lunch, we have a chance to visit an ancient stone ruin on the island known as PACHATA (center of adoration) led by a lcoal Shaman. 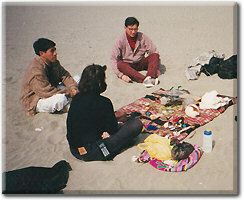 We will stay overnight on the island and our lost host will ask us to participate in a song and dance circle. There are very strong energies on this island. Many of the people who live within the Lake have reported to see all kinds of UFOs appearing here. 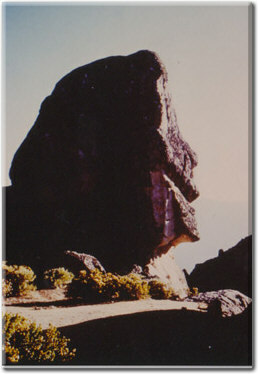 IN AMANTANI. 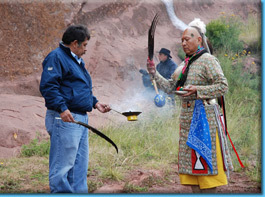 Before breakfast you are invited for a prayer to connect our heart chakra with the wisdom of the White Brotherhood Elders on the island of Amantani and which are rumored by the book called "Secrets of the Andes" by Brother Philip, to have a hidden sanctuary in this area. We then go back to Puno by boat (about 2 hours). Later, will visit the enigmatic cemetery temple area known as Sillustani which contains a unique architecture to its buildings also called Sacred Solar Houses or also known as "Chullpas". 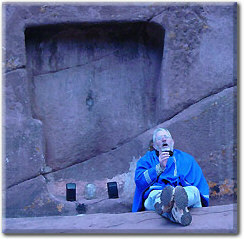 Some consider this ceremony one of the largest in the ancient world before the time of "Columbus". In the afternoon there will be free time to spend in Puno city or return to our hotel. 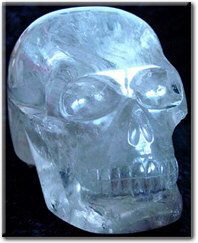 At night, once again there will be private crystal skull sessions with Joshua and Katrina offered. IN Puno. 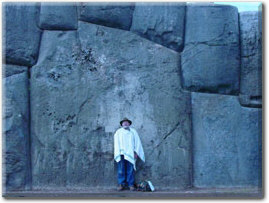 Right after breakfast we Amaru Muru Doorway is known as a powerful vortex way before the arrival of the Incas, also known as a Lemurian Portal. 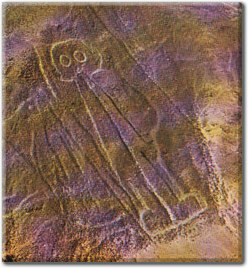 Many of our passengers in our last group had some powerful experiences here and we also recorded strange lights. It is a place for initiations for the true light seekers. Group meditation at Amaru Muru with the crystal skulls will be held in this special place. Finally, as this will be the last day or out tour in Peru, we will have a celebration lunch (as we did in our last tour) in a special restaurant in Puno where we can share our personal experiences and stories with the whole group. Then there will be an hour or so meeting, for those who wish, for our Tour Guides to share a bit more about the history and energies of Lake Titicaca. IN PUNO. Late morning check out and transfer to Puno's airport (in the nearby city of Juliaca) for our return flight to Lima. Then you can either catch a flight to your home in the evening or there is the possibility if you wish, to stay an extra night in Lima and fly back the next morning (there is an extra fee for this - please contact us if this is what you wish to do).. Welcome Home after an amazing spiritual journey!! This Price Includes: All transportation costs (buses, airplanes, trains, boat) while we are within Peru, the fee for guides, 3 Day Entrance fees for Machu Picchu and other entrances fees to other archeological site, shamans performing ceremonies, private crystal skull consultations, one small crystal skull, accommodation at various 3 Star Hotels, daily breakfast, and one lunch. At the present time we are exploring to offer a 4 day - 3 night extension after the tour group returns to Lima on May 25th. Thus this tour will go through March 28th. We are negotiating for this extra package but at the time of the release of this website we do not the final details - again stay tuned to our free newsletter, revisit this webpage or feel free to email or call us - thanks!! It is probably best to discuss payment with us directly as due to how quickly we are creating this tour we will have an accelerated payment schedule. The key concept to understand is in order to make reservations in Peru for our hotel and our inter-Peru air flights, we have to receive at least 50% of the money for the tour by March 8th, 2010. We can receive payments by a personal check, money order or through Paypal (for credit card payments - but unfortunately Paypal will charge us an extra 3% fee for people in the U.S. and 4% for people who are outside the U.S. so we will have to add this to the price of the tour fare). Below is our email or telephone, please feel free to call us. Also note that after a certain date we will be unable to return the full amount of the tour if you decide to cancel (when you contact us, we will let you know how this works). Additionally, the airline cost for the flights within Peru will be non-refundable after the date we send to our Peru Agency the 50% of the tour fee in March. We have given this basic information so you have an idea of what is involved with the payment. Also note, that in order for us to organize the tour we must have at least 15 people for the full tour. If you know of other people who might be interested to join us, please feel free to give to them the address of this website or our contact information. Therefore we will not use any part of the money we receive from our passengers until we have reached the minimum of 15 people. We recommend that you join our free newsletter so you will be up-to-date on the status of the tour. 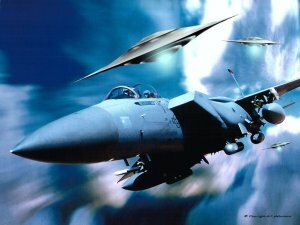 We also recommend not to make your plane reservation until we know there are enough people to go on the tour. We should know by the beginning of March when it is time to make your plane reservations to Lima. In order to assist us with the International Plane Reservation to Peru, we have a very good travel agent that we work with in Atlanta that we are going to ask to help us with a group rate that could save our tour members some money. Again via our newsletter we will explain how to contact our travel agent. There will be a form we will send to you that we will request that you sign, that in the case of such a problem, the organizers of this tour can not be held responsible. Of course, with the guides we will be working with in Peru, they are very well aware of any dangers (such as pick pockets as Peru is a very poor country) and will ensure our tour group is always safe. Our group in November of 2009, had absolutely no problems at all due to the care we received from Kontiki Tours. We will be sending out additional information to all of our passengers about other things you should be aware of while traveling in Peru. We do not discuss these possibilities to cause any fear but only to provide an awareness.